Free First Class Shipping within the USA - or pay for Priority Mail if you prefer (convo for latter option). 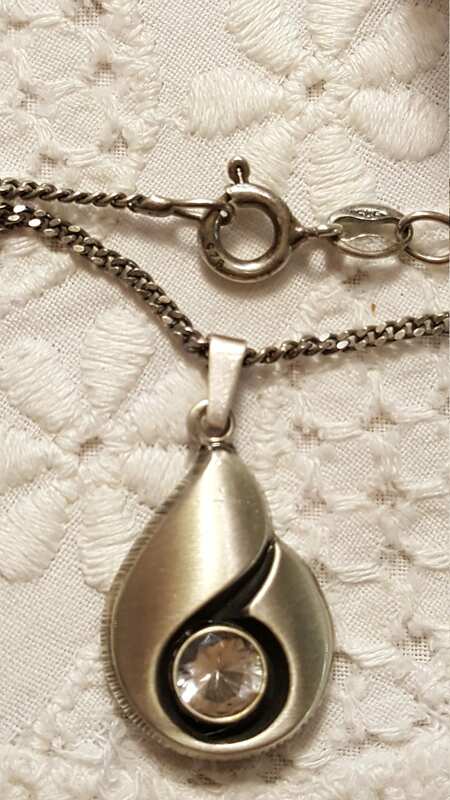 A Scandinavian Vintage Pendant Necklace in solid sterling silver. 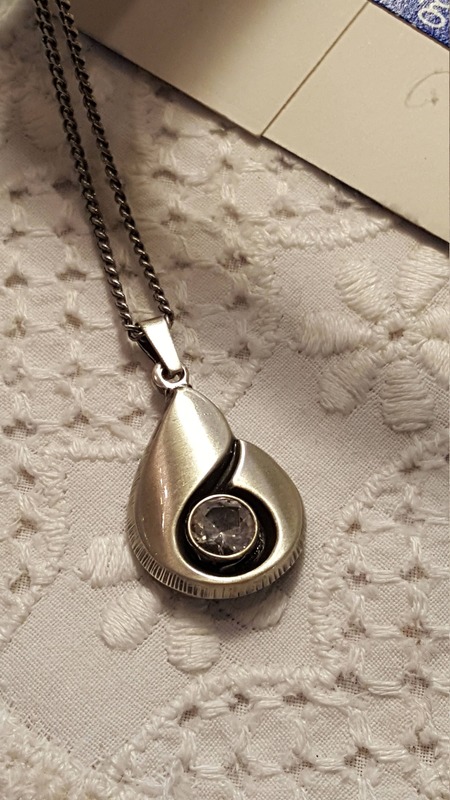 The pendant is in an abstract modern drop shape with a round faceted rock crystal set into the pendant as a single focal point. 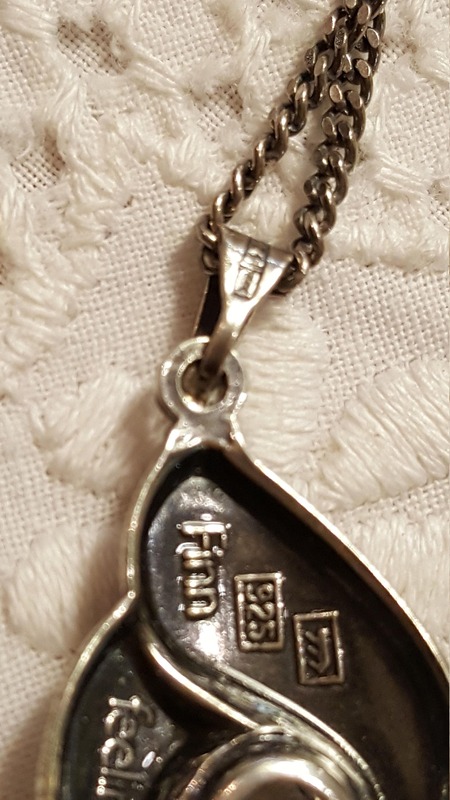 The pendant is marked as shown - made in Finland. 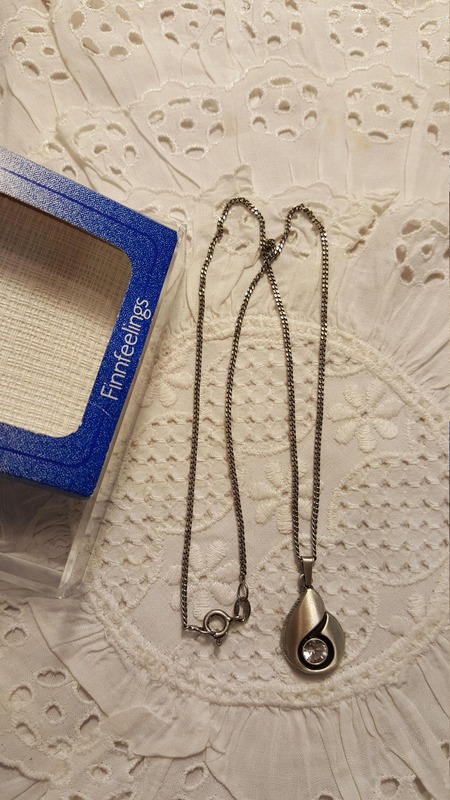 The chain is also sterling silver and original to the pendant. It is an estate find. I don't think it was ever worn. 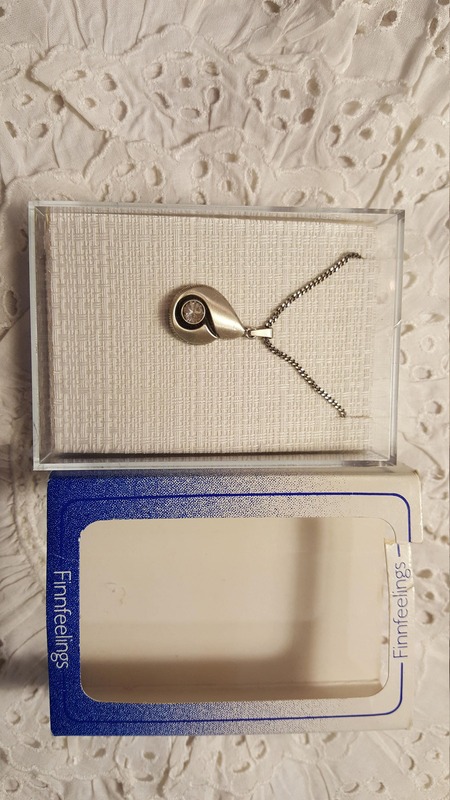 It is still in its original box. 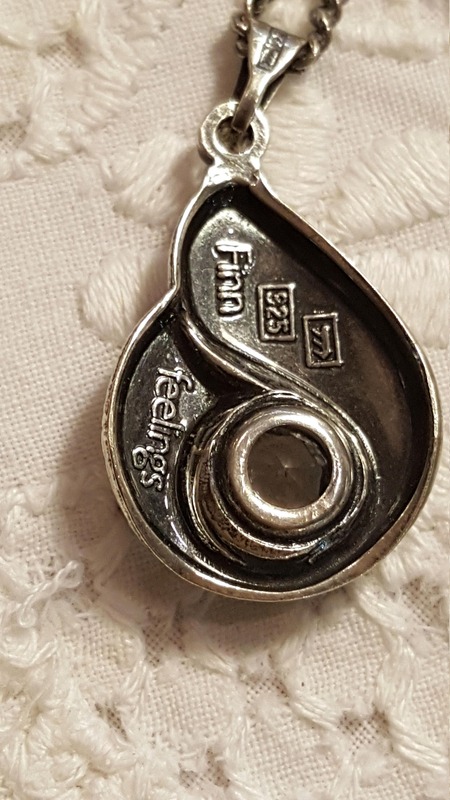 According to what I have see this type of jewelry was made in the late 1980s. 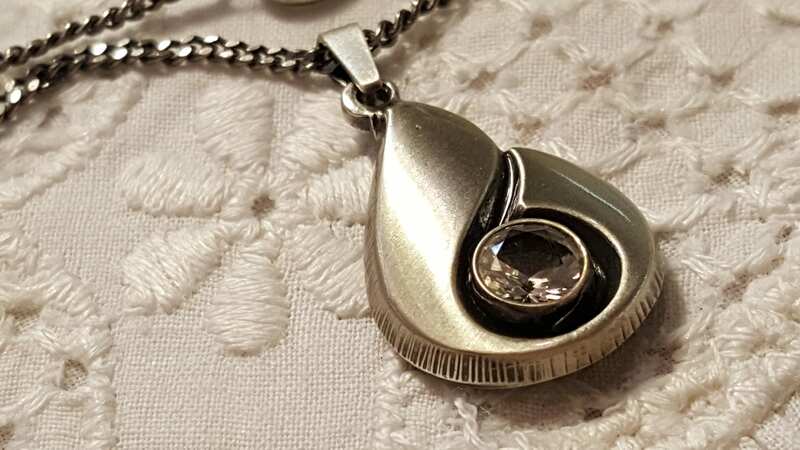 The item will be wrapped and boxed in a new, clean jewelry box which will be shipped securely inside of a bubble envelope or small cardboard box.